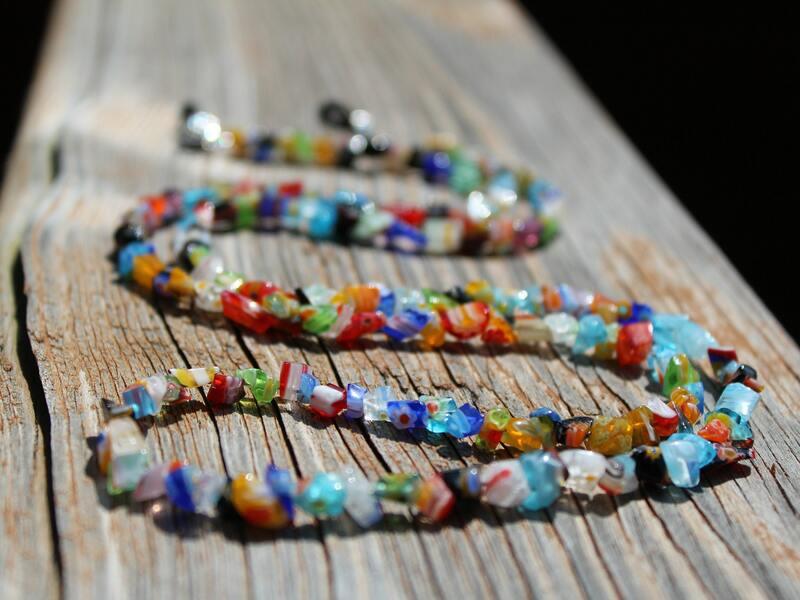 Enjoy a large array of colors with this glass bead, Millefiori eyeglass chain. 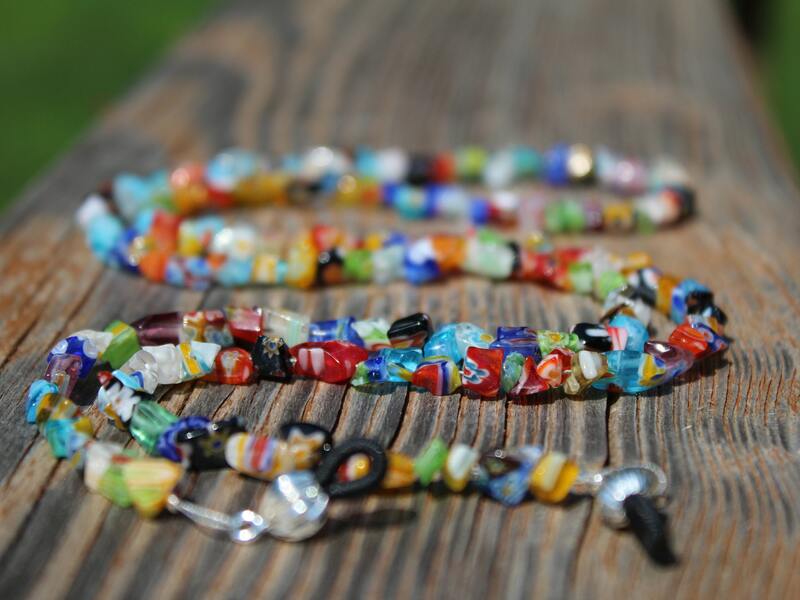 It is made using chips of Millefiori glass that are known for their vibrant colors and detail. 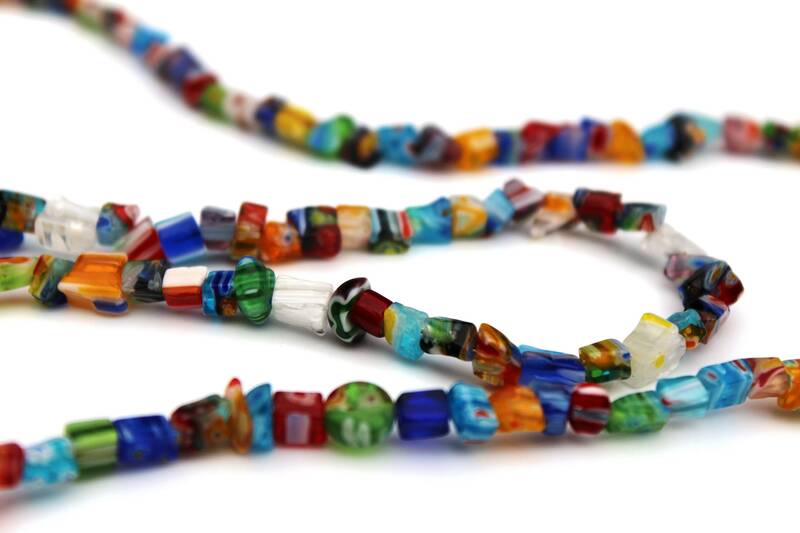 Canes of glass are used to make the beads, so the color is present throughout, not just on the surface. 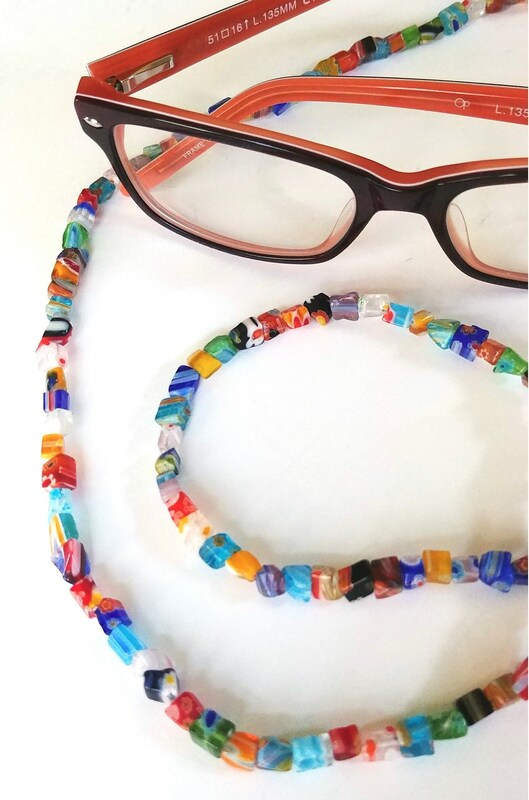 This eyeglass chain measures 28 inches long from end to end. It is available in silver or gold ends. You can choose at checkout. 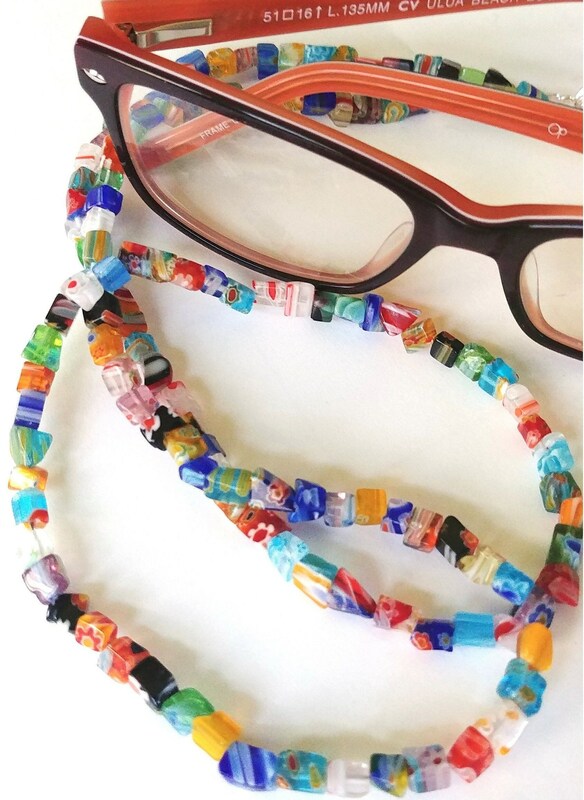 This eyeglass chain was designed and handmade by Michele of MichelesAManoDesigns.